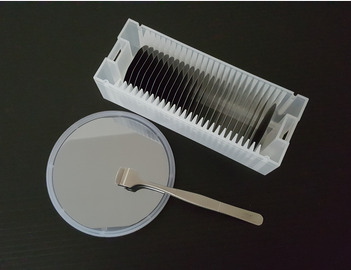 Si is most widely used for lenses and windows in IR systems operating in the 2 - 12 µm range. The enviroment does not make any problems because Germanium is inert, mechanically rugged, and fairly hard. It is an excellent choice for multi-spectral systems and for applications where EMI shielding is necessary. Germanium can be electrically heated for anti-fogging or anti-icing applications. We do not manufacture Germanium, but hold stock of Czochralsky grown material of various diameters. It can be used as a polycrystalline or as a single crystal. The purity should correspond to an electrical resistivity of at least 20 to 30 Ohm/cm, either p- or n-type to avoid absorption bands. The high retractive index makes AR-coating essential. 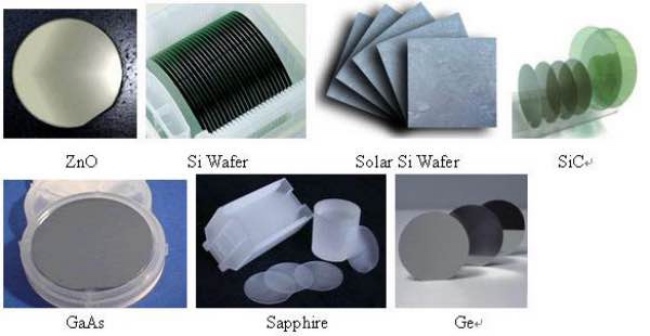 Silicon (Si) is commonly used as a substrate material for infrared reflectors and windows in the 1.5 - 8 µm region. 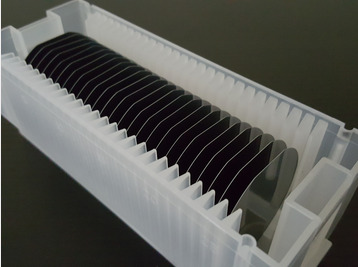 The strong absorption band at 9 µm makes it unsuitable for CO2-laser transmission applications, but it is frequently used for laser mirrors because of its high thermal conductivity and low density. Silicon is also a usefull transmitter in the 20 µm range. in Wuxi city in 2014. (2) For the off-standard products, the delivery is 2 or 6 workweeks after you place the order. (1) For inventory, the MOQ is 10pcs. (2) For customized products, the MOQ is 10pcs-25pcs.